Russia has cast a second veto in as many days to block a UN Security Council resolution that would have extended an international inquiry into chemical weapons attacks in Syria. Russia rejected a Japanese draft resolution to prolong by 30 days the Joint Investigative Mechanism, whose mandate ends at midnight on Friday. Western nations condemned the move. It is the 11th time Moscow has used its veto powers in support of its ally since the conflict began. On Thursday, Russia blocked a US-written draft to extend the JIM's mandate for a year. The JIM was set up in 2015 to identify perpetrators of chemical attacks. It is the only official mission investigating the use of chemical weapons in Syria. Moscow strongly criticised the inquiry when it blamed the Syrian government for a deadly nerve agent attack on the town of Khan Sheikhoun in April. 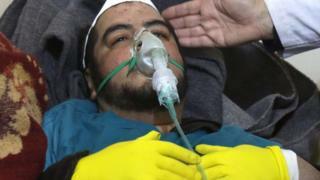 Syria denies using banned chemical weapons. What is the Joint Investigative Mechanism? Russia, the UK, China, France and the US all have veto powers at the Security Council. The attack on Khan Sheikhoun left more than 80 people dead and prompted the US to launch missile strikes on a Syrian airbase. 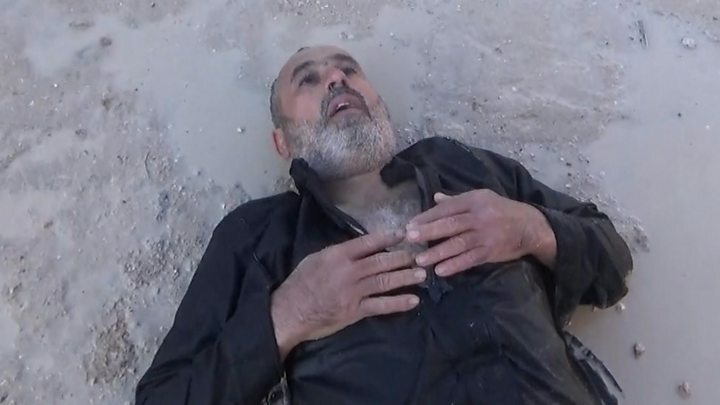 Last month, a UN Human Rights Council inquiry concluded a Syrian air force jet was responsible, dismissing statements from Russia that the jet had dropped conventional munitions that struck a rebel chemical weapons depot. Syrian President Bashar al-Assad has said the incident in Khan Sheikhoun was a "fabrication".